Transistor: We’re Not Going to Get Away With This, Red. SuperGiant games made a name for itself with its debut title Bastion, a breakout success that few companies are able to achieve with their first title. Indeed if you look deeper into the development team the success seems even more incredible considering that the team’s experience doesn’t have much of a pedigree in this genre. Still they’ve managed to win many fans, including myself, and when I first heard of Transistor last year I was already sold as it seemed like they took the core of Bastion and revamped it with an entirely new IP. The question on my mind was whether or not they could live up to the high standard that they set with Bastion as whilst I did my best to avoid the hype my expectations were already high for their next title. I’m glad to say that Transistor stands by itself as a great game with the ideas in Bastion taken as inspiration, not gospel. Ah Cloudbank, the place where everyone has a voice. The city is shaped and sculpted by the will of the people, the seasons changing on the whim of popular opinion and the sunset painted a brilliant hue by visionary artists. Yes, for nearly everyone, this place is paradise where one person can truly make a difference and no one goes unheard. Something’s amiss though, people are starting to go missing, their voices seemingly snuffed out never to be heard from again. Even Cloudbanks most prolific and inspirational performer, Red, has gone silent leaving many to wonder what is going on. Little do they know that Red’s voice was stolen and her crusade to take it back will determine Cloudbank’s fate. 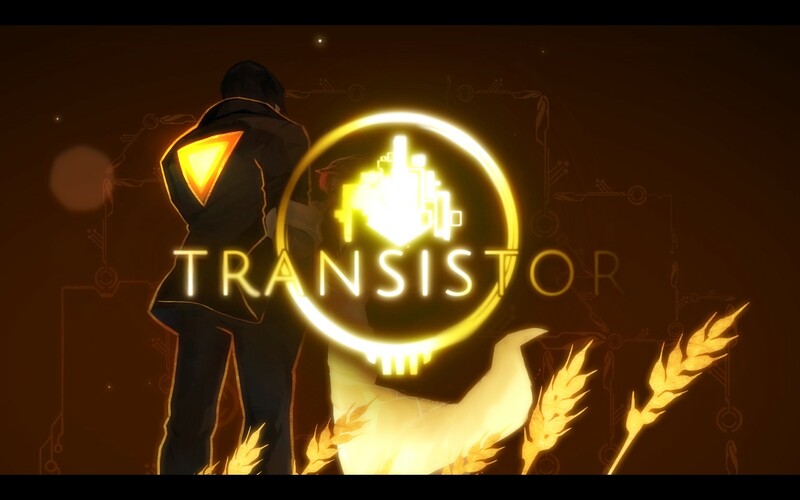 Supergiant’s trademark art style is back in Transistor, although this time it’s been reworked into a slick sci-fi theme. 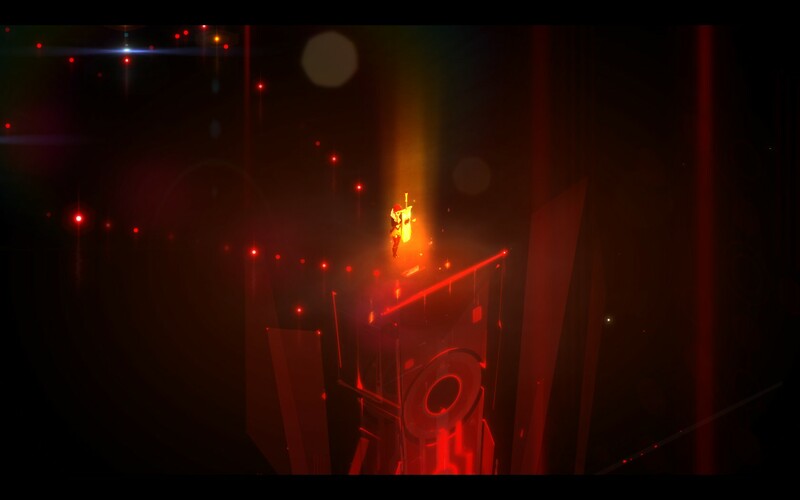 Transistor has a wonderful array of colour palettes, visual effects and scenery that makes it a visually exciting experience that’s dripping with detail. Despite the wildly different theme to Bastion it still has the same feel, employing the same isometric view with heavily stylized 3D elements that blend seamlessly with the non-3D backgrounds. This does mean that sometimes the visual experience gets a little overwhelming which is thankfully balanced off by the barren visuals of the Turn() mechanics, ensuring that the visuals don’t affect the core gameplay negatively. 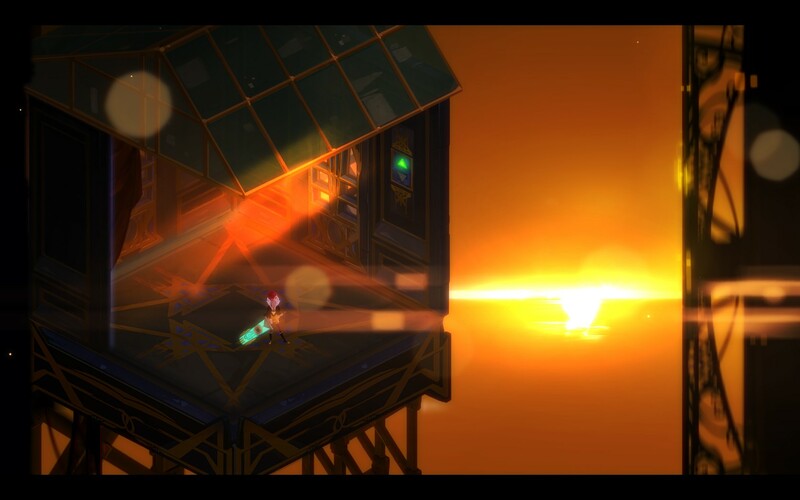 Transistor takes nearly all of the core ideas of Bastion and reworks them all, leaving behind some of the more frustrating aspects and generally improving on them. You’ll still engage in the same style of brawler combat, with dozens of enemies throwing themselves at you, but it’s augmented by the Turn() mechanic that allows you to plan out your moves. You can also play the game completely in real time if you wish, something which can be advantageous depending on the encounter you find yourself in. The levelling and upgrade systems are quite intricate, allowing you to augment skills with other skills which can produce some truly outrageous combos. There’s also the famed “limiter” system which allows you to ratchet up the difficulty in exchange for more experience, giving power players the challenge they’ve been long desiring. The combat system feels well thought out as nearly every combo I tried felt viable with the exception of some boss battles which ruled out certain strategies completely. 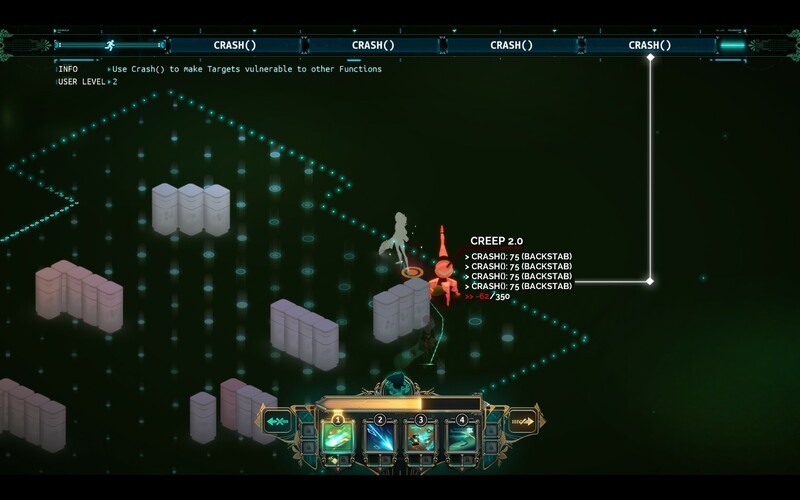 Transistor encourages you to experiment with different build by making respecing free (you just need to find an access point) and giving you optional challenges with defined skillsets so you don’t have to figure everything out in the field. There are, of course, combinations that are far more powerful than others (like Breach + Get + Cull) and depending on what your play style is you’ll likely tend towards particular skills. I started off favouring controlling builds that gave me a lot of safety but after a while I switched up to a mega damage combo that could one shot nearly any enemy I came across. Funnily enough some of the limiters you can use can actually make some builds more viable (like having an army of bad cells), something which I thought was a rather cute idea, if intentional. The biggest differentiator though is the inclusion of the Turn() mechanic which allows you to plan out a set of moves without the enemy being able to interrupt you. Essentially you can pause the game, plan out a series of moves up to a point and then execute them all in one go. Afterwards though you’ll have to wait for the ability to cool down again before you can use it and, unless you’ve skilled for it, all your regular abilities will be unavailable. It adds a deep level of strategy to the otherwise mindless brawling that you’ll constantly be engaged in, something that you have to respect lest you want to feel like you’re repeating the same content endlessly. One caveat about it though is that you’d better be clear on what each of your functions do as whilst Turn() might tell you that enemy will be dead you might end up doing something that puts them out of reach of your abilities. This is especially true with Cull() as enemies are effectively invulnerable after the first hit. The levelling system maintains a good pace throughout the game, meaning that should you really want to level up (for whatever reason) you can likely do so by spending some time in the various tests in the back door area (similar to the challenges in Bastion). Whilst you won’t be penalized for choosing one upgrade path over the other, they will all be made available to you eventually, the choice is most certainly meaningful. Sometimes it can feel like you’re getting yourself into a chicken and egg scenario however the game appears to adjust itself to your current level and skillset. Early on this seems to be a bit hit and miss, as some of my more broken builds can attest to, but after that the pacing is quite smooth with the difficulty ramping up nicely. However where Transistor really shines through is in the deep narrative and character development which stands out as one of the better titles of this year so far. Transistor, like its predecessor, starts out a little confusing due to the lack of information given but it does a good job of filling in the games, keeping the player informed and fleshing out all the ancillary character’s backstory. The return of Logan Cunningham as The Transistor for the running narration in the background is also very welcome and Supergiant did a great job of incorporating him into the game whilst also not relying on him to carry the game through as the other voice actors are just as exceptional. What I liked most about Transistor’s story was the organic way in which story background elements were revealed to you. Whilst the bulk of it is delivered by the rather unimaginative walls of text buried in the levelling system it’s at least consistent and bite sized, meaning that you’ll never feel overwhelmed by the amount of reading Transistor wants you to do. The way in which Red’s relationship with the mysterious man develops is by far one of the better aspects of the story. The ending left me with some mixed feelings as it really is quite bittersweet but that does mean it’s by far one of the more memorable endings of recent times. Transistor is another exceptional title from Supergiant games, taking all the elements that made Bastion successful and molding them into another game that stands on its own. The combat is engaging, deep and fluid, encouraging the player to experiment with all sorts of wild combinations that only get more complex as the game progresses. Level progression is smooth, providing a challenge at all stages of the game, even when you think you’ve unlocked the broken combo. 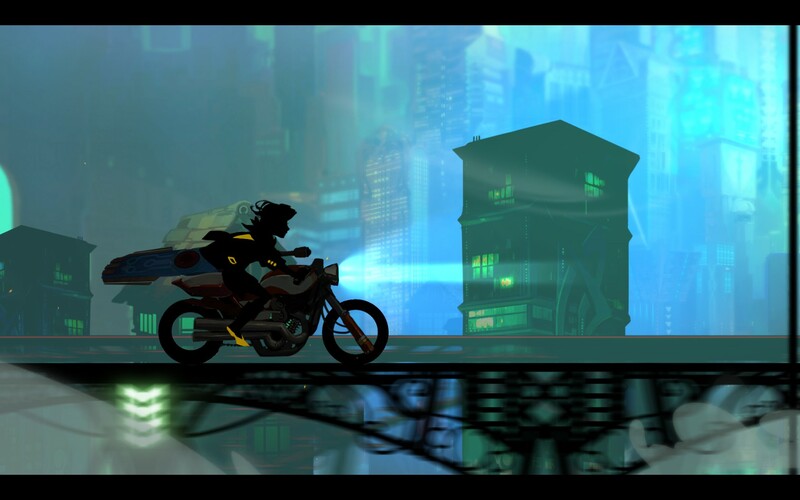 Transistor’s story, along with it’s brilliant voice acting and gorgeous presentation, Truly Supergiant games are going from strength to strength with their releases and I simply can not wait to see what they produce next. Transistor is available on PC and PlayStation4 right now for $19.95 and $19.99 respectively. Game was played on the PC with approximately 6 hours of total play time and 36% of the achievements unlocked.